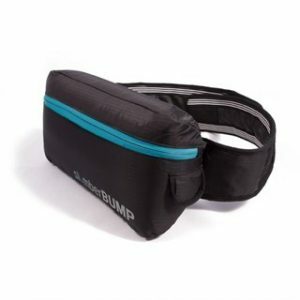 SlumberBUMP is a simple, unique solution for snoring or positional obstructive sleep apnea: a sleep belt wraps comfortably around the chest and prevents snorers from rolling onto their backs throughout the night. The lightweight, breathable sleep belt helps individuals to sleep comfortably on their side so breathing can return to normal. Side sleeping naturally keeps the airway open, significantly reducing snoring. I’m interested. How do I purchase a SlumberBUMP? The SlumberBUMP is $70 out-of-pocket, although some insurances cover a percentage of the cost.